Selected from three decades of works, Menagerie explores the staging of animals and human’s unexpected intervention that turns out theatrical and illusive to the mind. 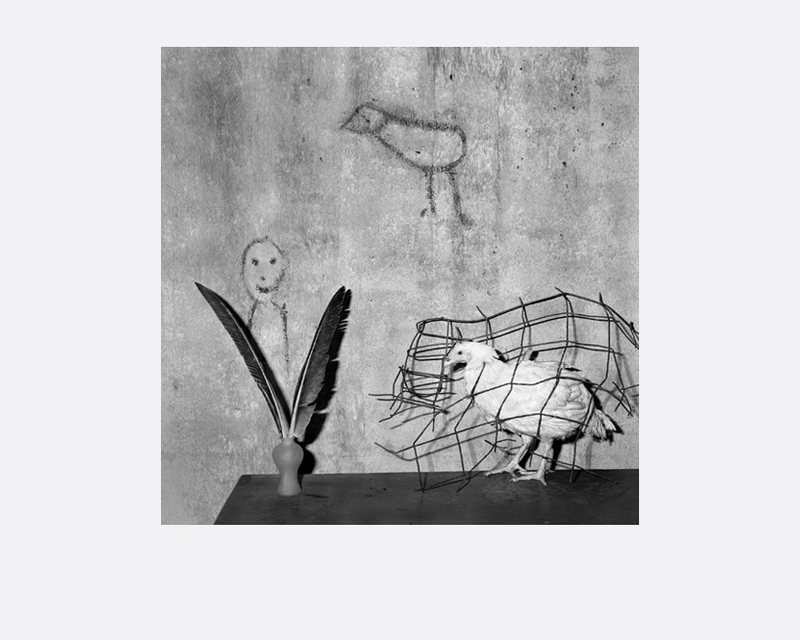 Considered as one of the most influential and important photographic artists of the 21st century, Roger Ballen’s photographs span over forty years. His strange and extreme works confront the viewer and challenge them to come with him on a journey into their own minds as he explores the deeper recesses of his own. Over the past thirty years, his distinctive style of photography has evolved using a simple square format in stark and beautiful black and white. In his earlier works, his connection to the traditional documentary photography is clear. Through the 1990s he developed a style he describes as ‘documentary fiction’. 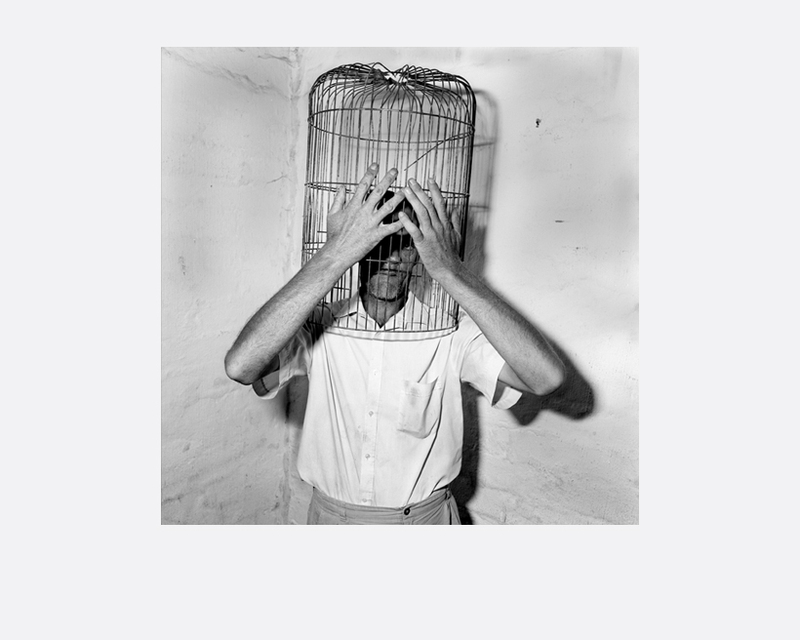 After 2000, the people he first discovered and documented living on the margins of the South African society increasingly became a cast of actors working with Ballen in the series Outland and Shadow Chamber collaborating to create powerful psychodramas. The line between fantasy and reality in his more recent series Boarding House and Asylum of the Birds has become increasingly blurred and in these series he has employed drawings, painting, collage and sculptural techniques to create elaborate sets. People are now often absent altogether; replaced by photographs of people used as props, by doll or dummy parts or where they do appear it’s as disembodied hands, feet and mouths poking disturbingly through walls and pieces of rag. 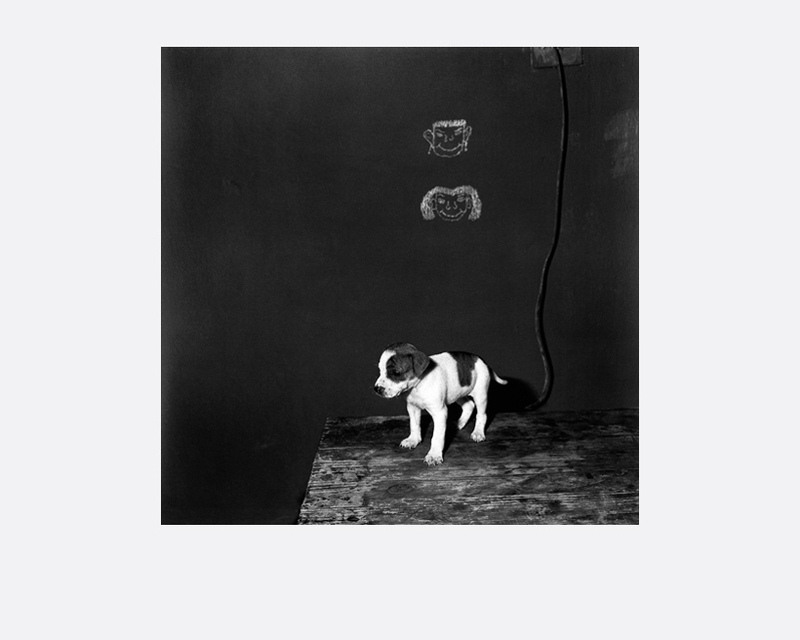 The often improvised scenarios are completed by the unpredictable behaviour of the animals whose ambiguous behaviour is crucial to the overall meaning of the photographs. Ballen has invented a new hybrid aesthetic in these works but one still rooted firmly in black and white photography. 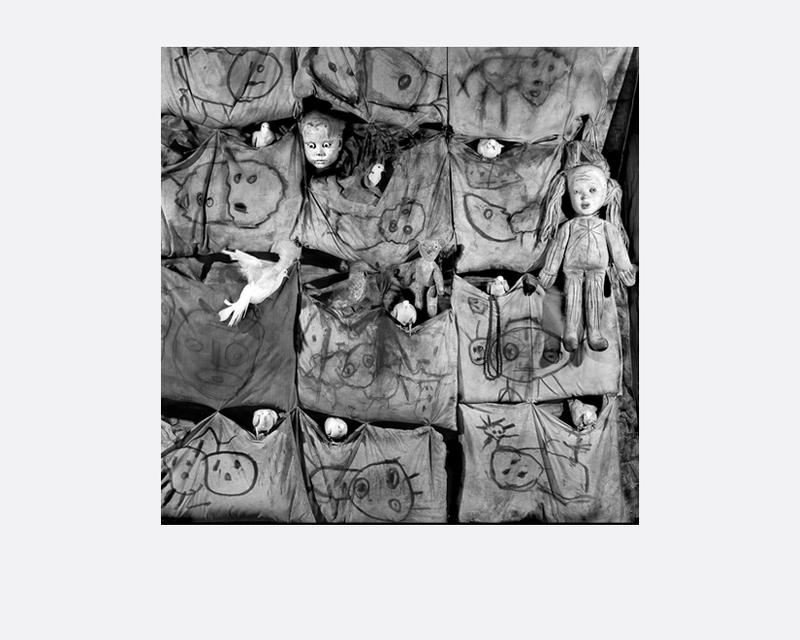 In realising this exhibition, Roger Ballen has allowed himself to be won over by the possibilities of integrating photography and drawing. He has expanded his repertoire and extended his visual language. By integrating drawing into his photographic and video works, the artist has not only made a lasting contribution to the field of art, but equally has made a powerful commentary about the human condition and its creative potential.